job and creating my first podcast and website. I also tried somethings for the first time like “drum lessons” and mountain bike trail riding with my brother-in-law. Although I’m horrible at drums, at least I gave myself the opportunity to try something I’ve always wanted to try. And for me, and hopefully you, that’s what recovery is all about, picking up where we left off! Not just recovery & sobriety are a process, all aspects of life is a process. Sometimes you just got to work with what you got, instead waiting for the perfect moment or thing. I stopped looking for excuses to start every little endeavor over and instead, pushed through! My Keeping it Sober Podcast. This was super exciting. Creating something from start to finish and have full control of the music beds, (I actually created my own intro music), content, cover art, editing, producing, promoting and seeing my product available on ITunes and about 5 other audio platforms was truly amazing! My Keeping it Sober website. I literally own about 15 different domain names, all bought with the brilliant intentions of creating the world’s next million dollar website! And it didn’t turn out that way for any of them. However, keepingitsober.org I actually completed and published on the web! I’m nearly a year and counting working at a treatment center in South Texas. This is huge for a person who is constantly changing their racing thought filled mind on what I want to do in life. And really just having that option is a true miracle! My manuscript, still trudging it out! My eBook, I keep changing topics and titles! My health, I gained the 20 pounds back! Create my first eBook, ( and I have the perfect name & story!). Start a daily routine of health & meditation, again! Provide content of true value to you, through blog and podcast. When this entire blog and podcast started, I wasn’t sure who I was talking to and which my part of my experiences I shared, would be of true value. However today my challenge has narrowed into a more of a “learning to live sober, in an unsober world! Because that’s what happened to me. After 23 years of using and drinking, it wasn’t enough to just not drink or use, I had to learn how to live and function in today society and that’s one of my my main focus now of keepingitsober.org! Be looking out for my new website as well as a huge announcement coming out on January 13th! Today looking back at 2015, I can honestly say that I have learned, experience and have grown so much in my sobriety that I can see the distance between the person that was active in drugs and alcohol to a brand new person who has let go and moved on. And that’s freakin’ exciting! P.S. 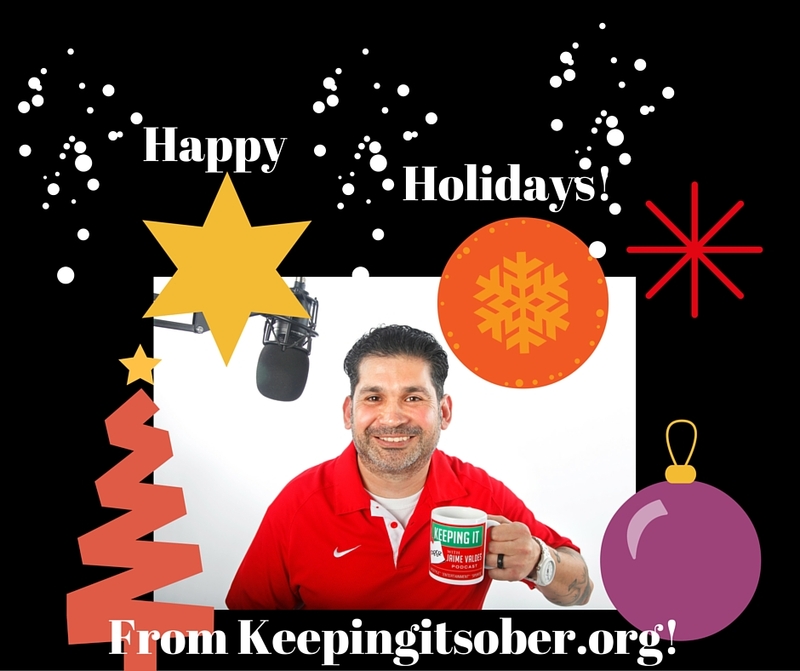 To sign up for my monthly newsletter for go to keepingitsober.org and sign up for free!! Super quick, please fill out my 6 question survey that will help me provide better content for you in 2016! Next postHow Can I Help You?